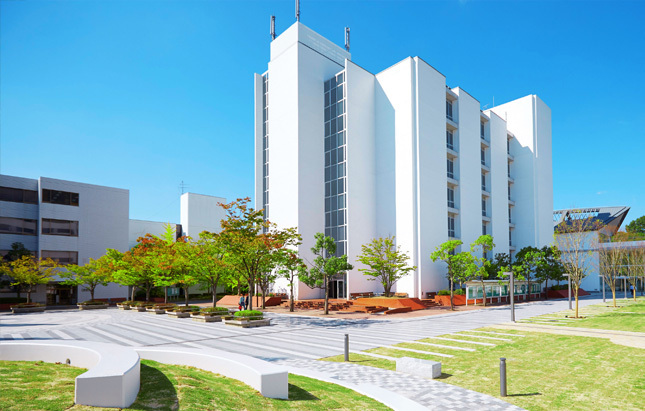 Founded in 1971 by Dr. Naoyoshi Kanazawa, Osaka University of Economics and Law (OUEL) is nestled against the mountains in city Yao, Osaka. OUEL is a social science university consisting of Faculty of Economics and Faculty of Law. In 2012, `The Oval', OUEL's new campus completed. 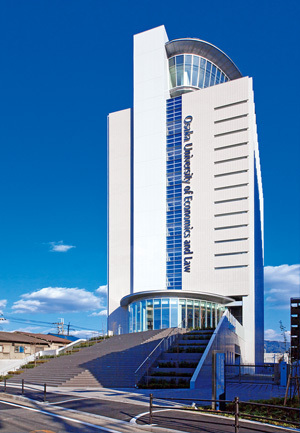 The Oval is located at the center of Yao city, a five minute walk from Kintetsu Yao station. The founder foresaw a universal stage for Japanese higher education in the future and he also wished to eliminate elitism. Dr. Kanazawa also believed that economics and law were the twin pillars of society and believed that a student could build a praiseworthy character by mastering both economics and law. This is the reason why the university established two faculties at its opening. The University is an independent institution for higher education, offering Master’s degree in Economics, and Bachelor's, degrees in Economics, Law and International Studies. Internationalization, Advance of information technology and Small-class sizes study these three keystones are the educational creed of OUEL. *Four more permanent teaching staff belong to the research institutions. 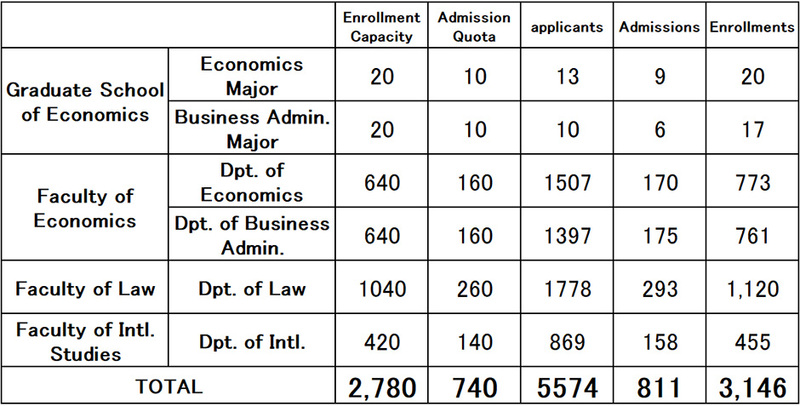 *Permanent staff who also teach at the undergraduate courses are not included in the above number of the staff at Graduate School of Economics.